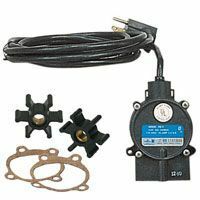 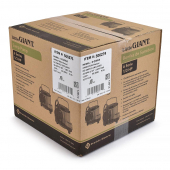 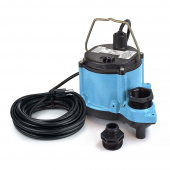 Little Giant 6-CIM-R (506274) is a 1/3HP Manual Submersible Sump Pump with a 25ft long power cord and an oil-filled motor lubricated for life of the pump. 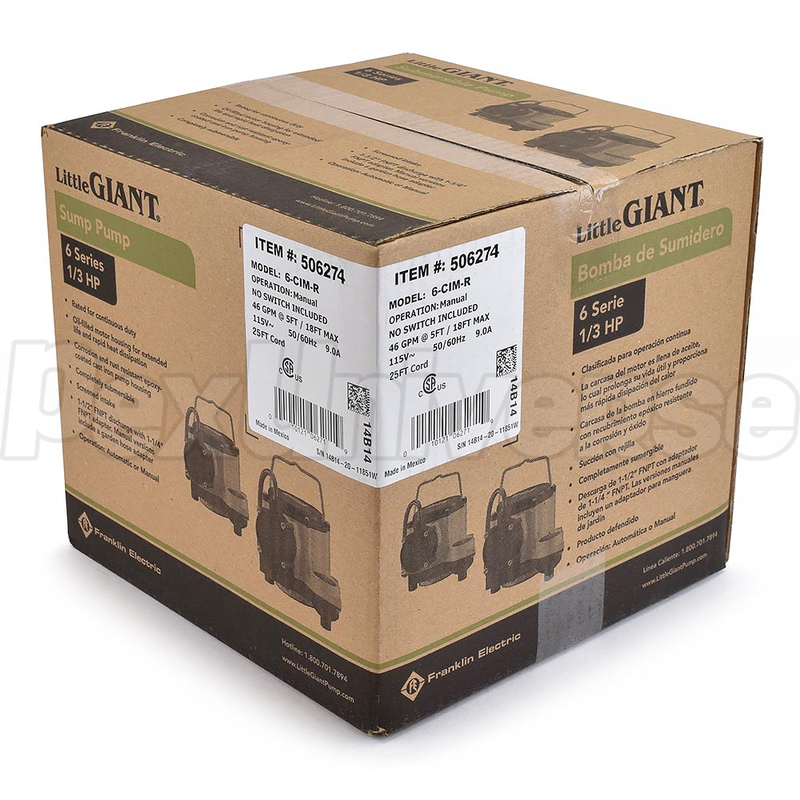 Little Giant 506274 model features a 1-1/2" FNPT discharge with a maximum head capacity of 18ft (of head), 1-1/2" x 1-1/4" reducing adapter (bushing, included) and a 3/4" garden hose adapter (included). 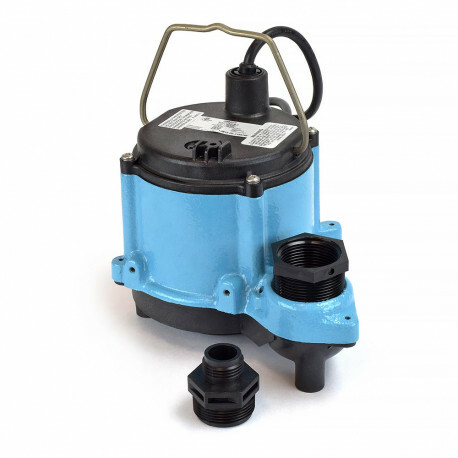 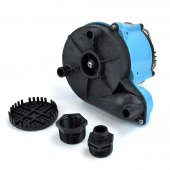 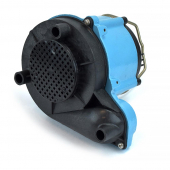 The 6-CIM-R sump pump has a polycarbonate cover, a polypropylene volute/base, cast iron housing, stainless steel components for improved corrosion resistance and a built-in thermal overload protection. This model is well suited for residential and light commercial use in manual de-watering and liquid transfer applications. Dimensions (H x W x L): 7.25" x 7.25" x 9.5"
2 years from the date of installation.